As I mentioned before in my bright orange smoothie post, even though I don’t usually care what a smoothie looks like, sometimes it’s nice to make a strong visual impression. In this case I was curious if I could make a naturally blue colored smoothie. * Blue foods are quite rare, but I had an idea that I could turn red cabbage blue by shifting its pH. 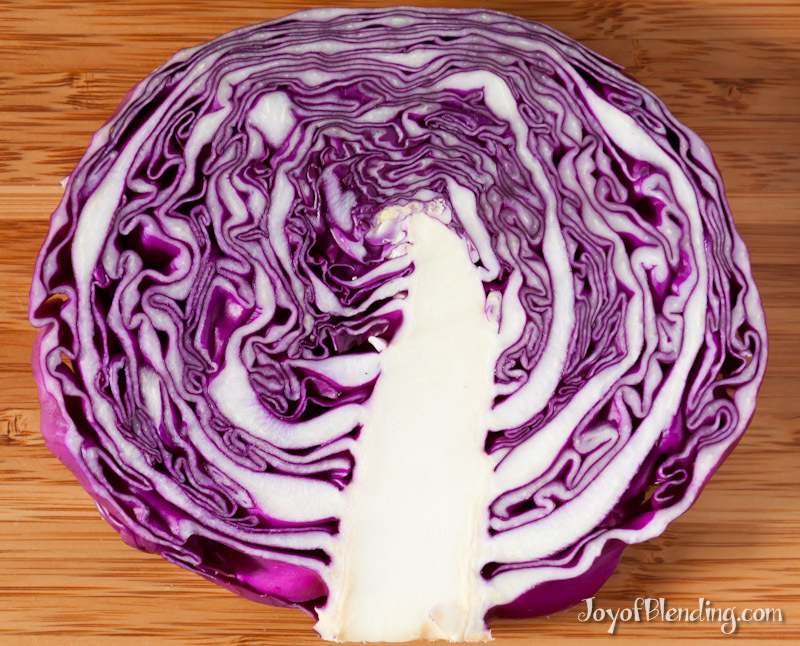 Red cabbage (aka purple cabbage) contains anthocyanins that are blue at basic pH. I did a little research into the pH of various foods, and unfortunately I quickly found that most foods range from slightly acidic to moderately acidic. I found a few candidates, but as you can see from the picture, I did not succeed in getting a naturally blue palatable smoothie. I did however discover a surprisingly tasty combination: cabbage and corn! The two plausible slightly basic candidates I found from that list of food pH values were egg whites and frozen corn. I had never put raw eggs in a smoothie before, but I’ve heard of people who do, and a little searching found that, as weird as it sounds, some people enjoy corn smoothies. In terms of colors, the corn did not turn the cabbage blue at all. At high concentration egg whites did actually turn it blue, but for my classic 16-oz smoothie I would have probably needed nearly a dozen egg whites, which seemed excessive. I also tried baking soda on a bit of it, which worked great for color, but did not taste good. 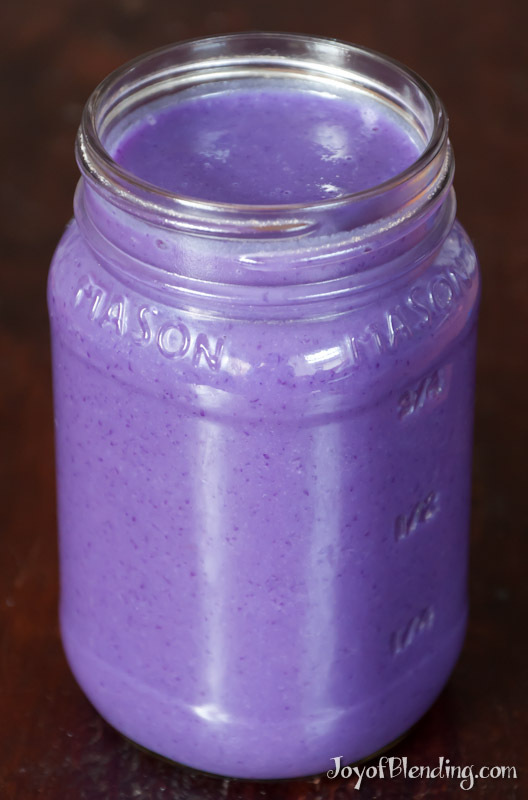 So for now, the naturally blue smoothie is still elusive, but the result was a vibrant purple corn and red cabbage smoothie that tastes surprisingly good. Makes two small servings or one large one. 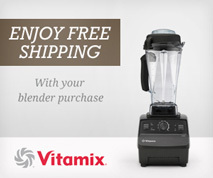 Blend on high until smooth and enjoy! You can change-up the taste with salt and pepper if you like, and as always, you can make it thinner or thicker by adding more water/ice or cabbage/corn respectively. Cabbage smoothie plus: vinegar, straight up, little baking soda, lots of baking soda. I’ve heard that red cabbage can turn blue when you cook it, but when I tried microwaving a piece in water, it didn’t turn color for me. If anyone has experience with what cooking conditions turn cabbage blue, I’d be curious to hear. It may have to do with factors out of my control like pH of the tap water, and I also read that the pH of the soil cabbage is grown in can affect the color of the plant. I’ll post an update if I succeed in getting a blue smoothie with cooked cabbage. Thanks for the idea of using red cabbage. I just made this, not with sweet corn, but with raspberries/strawberries (2C cabbage & 3C berries). The outcome is a vibrant fuchsia color. Even though I could smell a hint of cabbage (which is not that pleasant) but I totally cannot taste it in smoothie. So I consider this a success! Adam, do you have any suggestions on what spices to add to give it a hint of punch/kick? Thanks. I think the easiest spice to try with your berry smoothies would be cinnamon (which I wrote about a while back). I’m sure you could experiment with other spices, but that’s the one that immediately comes to mind. Thanks Adam. Cinnamon sounds good. What do you think of adding nutmeg to berries? Do they complement each other well? I think it could be good, but for my taste nutmeg can be a bit on the strong side, so I would start with a small amount. Another one to try is cardamom. Microwaving was extremely tangential to this post, but I still feel compelled to respond to this comment. Any cooking will reduce the amount of certain heat-sensitive nutrients (such as vitamin C). On the other hand, cooking food can make certain nutrients more bio-available (in addition to sometimes making it more appealing). Microwaving can actually retain more nutrients than some other cooking methods. Here’s a study that measured Vitamin C loss from broccoli. Microwaving fared better than both boiling and steaming. A previous study found microwaving to be worse, but they used significantly more water in the microwave, so they may have essentially been boiling the broccoli (they also looked at the presence of different compounds). The statement that microwaves “destroy any nutrients in the food” is patently false. What about a Adirondack Blue potato soup or thick drink? They turn blue when they are cooked…….I just thought this post was cute, I had to throw my two cents in. Good luck. I’m afraid blue potatoes would likely have the same problem as the cabbage. They are apparently also colored with anthocyanins (same as the cabbage—they are only blue in basic conditions), and here are pictures of a soup made with them. More purple than blue….